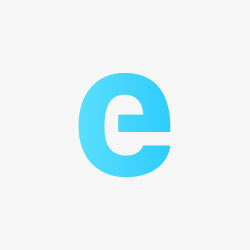 The network, called E-VIA FLEX-E, was actually announced in December, but it went under the radar between the announcements of several other networks. Over the last year, several high-powered charging networks were announced on the old continent. The first network to come to light was Ionity, which is backed by BMW, Mercedes, Ford, and Volkswagen. As we reported earlier this week, it’s starting to take shape and we got our first look at their map of planned stations. Then there was Ultra-E, which is backed by Allego, Audi, BMW, Magna, Renault, Hubject, and others. But we also reported last month on the new MEGA-E network, which is also backed by Allego, and it represents a massive effort to deploy over 300 stations. Now the new E-VIA FLEX-E network doesn’t represent a project as ambitious as the other 3 networks, but it will likely still be a welcomed addition to the charging infrastructure for local EV drivers. The project is led by ENEL and aside from Renault, other partners include Nissan, EDF, Enedis, Verbund and IBIL. The European Commission’s Connecting Europe Facility (CEF) program is partly financing the effort. The first stations are expected to come online by the end of the year.